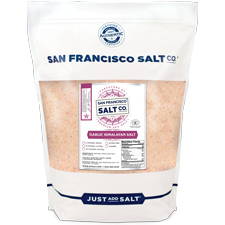 Himalayan Garlic Salt - A Unique Twist on a Classic! 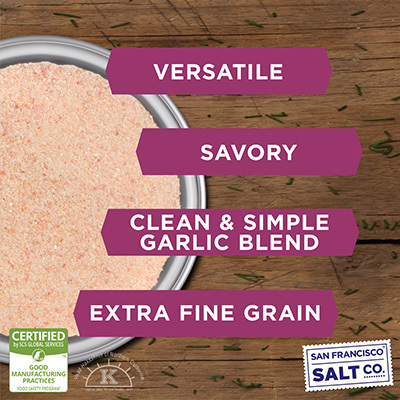 We believe that there’s beauty in simplicity, which is why our Garlic Salt only contains two pure and simple ingredients: Pink Himalayan Salt and Granulated Garlic. 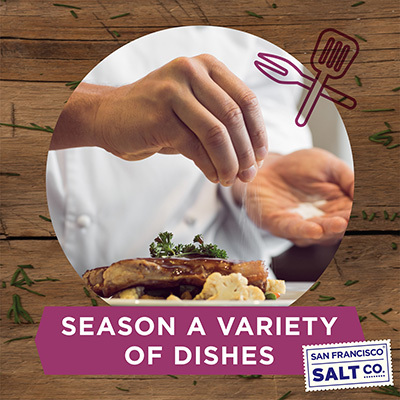 Garlic Himalayan Salt is a pantry essential that makes the perfect addition to any savory recipe! This two-in-one Pink Himalayan Salt blend makes it quicker and easier to season food, so you can expertly create your own flavorful dry-rubs, marinades, dressings, and dips. 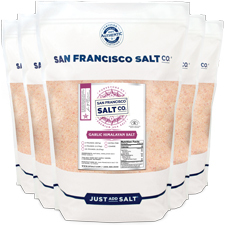 We import only the highest quality gourmet food-grade Himalayan Salts directly from our source in the Himalayas. Left in its raw, natural state, Pink Himalayan Salt is rich in over 84 different trace minerals and nutrients essential to our health and overall well-being. Formed over the last 250 million years, it is considered the purest salt in the world as it is virtually free of pollutants and toxins. 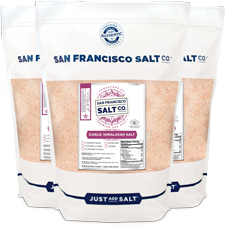 DESCRIPTION - Natural & Certified Authentic Pink Himalayan Salt blended with natural dried garlic.We import only the highest quality food-grade Himalayan salts straight from the source and package them in our U.S.A., GMP certified packaging facility, which is 3rd party audited by SCS Global.